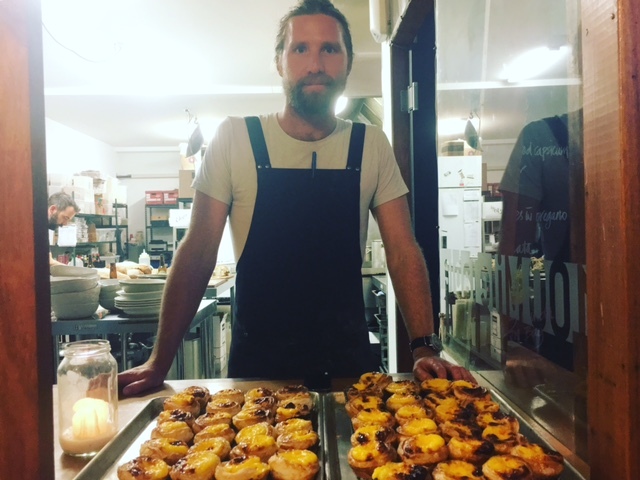 Last Thursday we held a Portugese pop up dinner at the cafe. 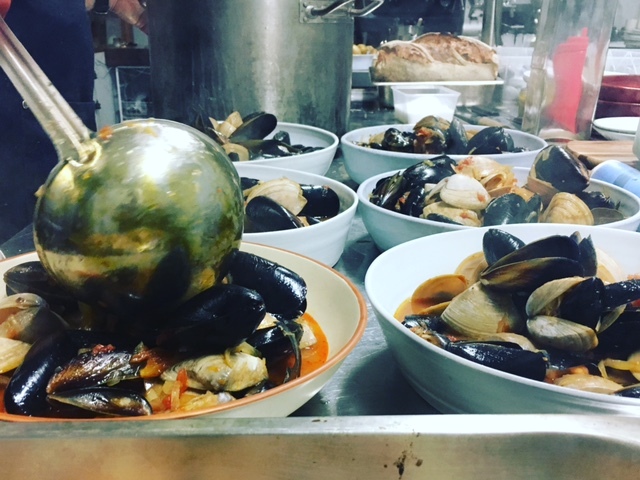 Our guests sat at our long tables, poured themselves a glass of wine and dined on a feast created by Bryce, recently returned from a month long adventure of eating, surfing and browsing the markets of Portugal. Nothing like a month in Europe to get the culinary creative juices flowing. Guests dined on starters of sardine pate, marinated olives and baccalao...followed by some of the best barbecued cuttlefish I have EVER tasted, served with roasted capsicum and a simple and beautiful chickpea salad. Main course was cataplana and sebago potatoes with oregano. The pointy end of the night saw us finish with pasteis de nata. A great night. Stay tuned for details of our next pop up dinner.